Florida Power & Light loses about 8% of the energy it produces in transmitting it to your home. Right out of the gate, that’s a great argument for producing energy at or near the point of use. Locating solar energy systems at homes and business is often called distributed solar energy. 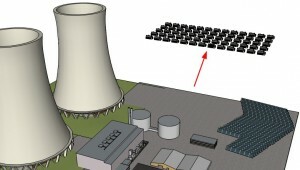 That is, the production of solar power is scattered around the utility grid in a distributed manner. This is the opposite of utility-scale solar energy that is produced in huge solar fields typically long distances from the places where the energy is needed. Obviously there is a significant cost to moving energy around “the grid,” and that cost is borne by utility companies and passed on to ratepayers. The cost for the transmission line investment and maintenance is averaged for each class of customer, and charged based on the amount of power and/or energy used by the home or business. Unfortunately, that doesn’t really change with distributed solar energy because we still need to transfer excess solar power around the grid and deliver power when the sun is down. In fact, utility companies argue that planning and building an effective grid is more complicated and expensive with distributed solar energy. That point is arguable at best, and doesn’t pass the smell test. Utility Scale Solar is a one-way, long-distance power delivery solution. When utility companies deliver power, they step up the voltage to minimize losses over long distances. That voltages is stepped back down through a series of transformers on the way to your home or business until the proper voltage is reached. There is a loss of usable energy at each transformer (usable energy is lost as heat). While these transformers have become remarkably efficient over the years, the net result is an 8% loss according the the latest data from FPL. If the utility company installs huge solar fields, presumably long distances from population centers, they still need to step up the voltage and move the power long distances. The losses still exist. There is virtually no loss of power when it is produced at the place of need. There is also the argument about environmental impact. While brownfield sites or otherwise unproductive sites are often selected for utility scale solar, why not use the millions of unused roofs for solar energy production. 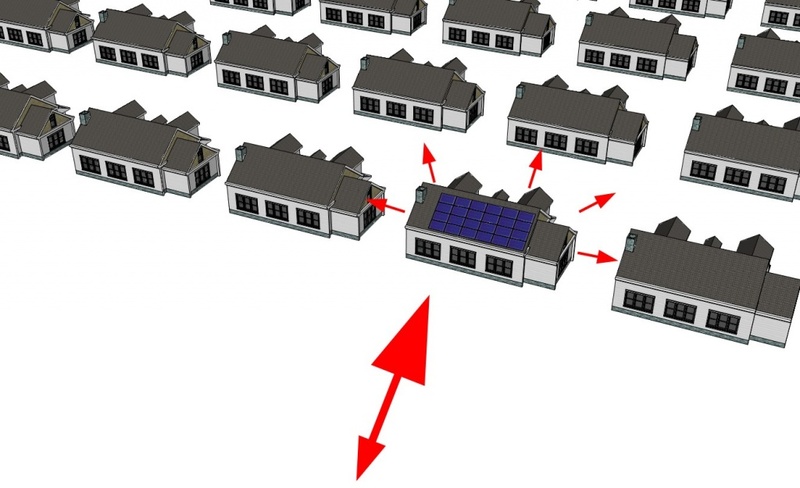 The cost of mounting solar panels on roofs is similar to ground mounted utility scale systems, especially in windy and seismic areas where the ground mounting structures must be very robust. Distributed Solar Energy provides a two-way flow of energy to/from the grid and provides excess electricity to nearby neighbors. There is also a security aspect, where distributing the points of production makes us less susceptible to acts of terrorism, vandalism, and natural disasters. A distributed production grid is more resilient in the case of disruption. Distributed solar energy breeds competition for improved technology and economies of scale in installation methods and costs. There is little incentive for a monopoly power producer to drive down the cost of new power sources. Individual producers will maximize their return on investment by shopping for the best deal. Monopolies simply pass costs along to ratepayers. While I am all for utility companies choosing utility-scale solar production over gas, coal, or nuclear power plants, utility-scale solar should not be implemented instead of, or in preference to distributed solar energy. There is plenty of opportunity to encourage both production strategies and the infrastructure is in place today to handle distributed production. Since most residential energy is consumed during the day in Florida (through air conditioning, water heating, and pool pumping), producing distributed solar energy simply reduces the amount of power that needs to be delivered to individual homes. Existing transmission infrastructure is not taxed; in fact, it carries less power than if all required energy needs to come from the utility company. Previous Post: Can I Put Solar Panels on a Wall? Vermont’s VELCO is making my case. Distributed solar is reducing the amount of new transmission infrastructure required to meet demand because the summer peak load is being offset by solar energy!